In a way, hair loss products are similar to fashion items. Just like clothing or any fashion accessories, we are surrounded by numerous options starting from an affordable hair loss shampoo that costs about $4-5 to very upscale scalp tonic that is easily over $150 for a small bottle. 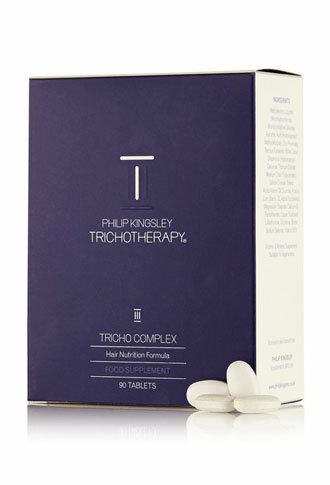 In this post, we introduce you to a high-end hair loss product by one of the most famous hair experts: “Trichotherapy” by Philip Kingsley. Kingsley’s clienteles include well-known figures and celebrities including Anna Wintour (Vogue Chief in Editor), Kate Winslet, and Ivana Trump. Just to be clear, Philip Kingsley is not a hair stylist. He is a qualified Trichologist since 1953 and his focus is on hair and scalp care. He also made numerous TV and magazine appearances including Oprah, Vogue, and InStyle to name a few. What’s special about his hair products? Other than his famous clients, Kingsley says that he found a formula that works best for different hair types and textures. 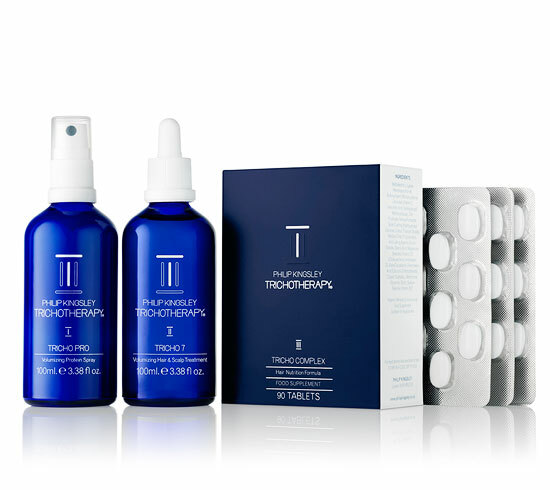 This post will focus on his new 3 step regimen of products called “Trichotehrapy” specifically formulated for fine and thinning hair. With over 60 years of Trichological experience, Philips finally introduced his own hair loss product line called Trichotetherapy. “I’ve been very busy working on something for the last 7 years and this is the most exciting and important launch I have ever had” he states. 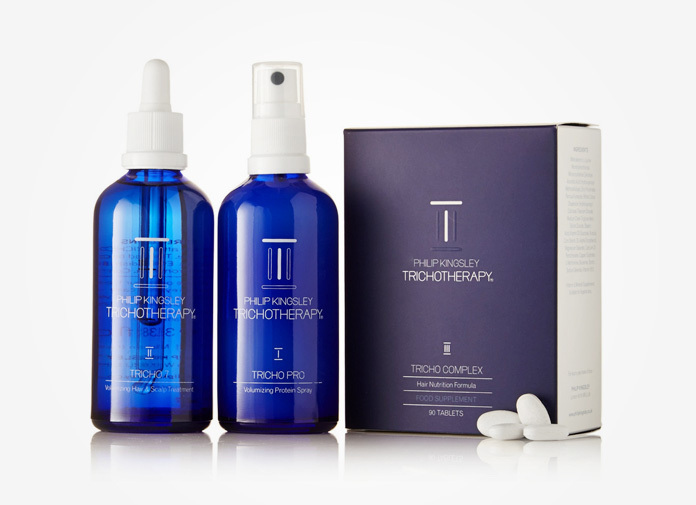 Trichotetherapy is composed of 3 hair care products and each item is designed to target different areas of your hair in order to prevent unwanted hair loss and provide increased hair volume for people suffering from hair loss. Let’s talk about each product and how it helps with restoring lost hair. Tricho Pro is a hair nutrition spray designed to be used as the first of the 3 step formula. The spray prevents hair thinning caused by external environmental sources such as dehydration, excessive heat exposure and daily weathering. 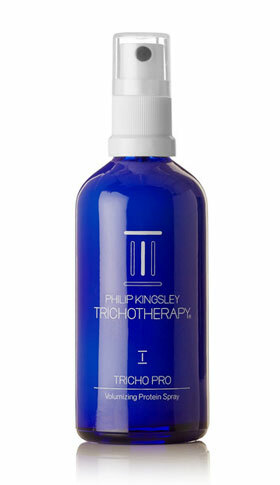 Tricho Pro nourishes and thickens each strand by penetrating the hair cuticle (outer layer). It contains antioxidants, UV filters, and plant proteins for deep moisture and strength. Using the Tricho Pro spray, you are expected to notice visibly increased volume and hair density according to their official website. The serum includes 7 carefully selected hair boosting ingredients that took many years of research to perfect the formula. Each ingredient is independently and harmoniously designed to work together to provide the above benefits. By providing a balanced scalp environment, the product prevents common hair loss causes such as inflammatory scalp, flakes/dryness, and age-related hair fallout. 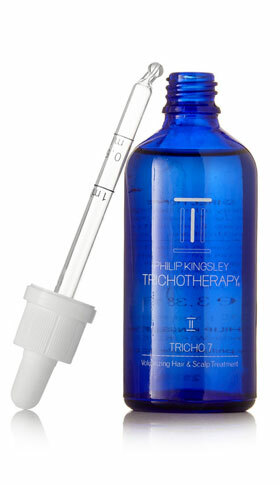 Using the Tricho 7 Drop, you can expect the appearance of thicker hair, the website states. Also, consistent use of the serum helps keep the longer hair growth phase (also called the Anagen Phase) to the maximum time period, so that you have more full hair at any given moment. Experts agree that hair growth is closely related to daily nutrition. While topical hair products are great for keeping your hair and scalp environment healthy, you also need proper nutrition from the inside to provide maximum benefits. According to Kingsley, hair is often the last destination to receive nutrition. So when he developed this solution, he carefully formulated the tablets to provide the extra nutrition your hair needs for optimal growth. The Tricho Complex vitamin includes amino acids, essential vitamins and minerals which he has perfected throughout his 60 years of trichological expertise. If you are not budget-conscious, Trichotherapy 3-step formula is a good option to consider, as each product is carefully formulated after 7 years of research and development for transforming fine thin hair to thicker and fuller hair.